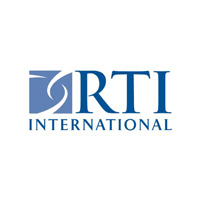 RTI International is an independent organization dedicated to conducting innovative, multidisciplinary research that improves the human condition. With a worldwide staff of more than 4.000 people, RTI offers innovative research and development and a full spectrum of multidisciplinary services. RTI International is seeking staff for the U.S Agency for International Development (USAID) Promoting Tanzania's Environment, Conservation, and Tourism (PROTECT) project that addresses factors in Tanzania that threaten biodiversity conservation and natural resource management. USAID PROTECT is a 5-year activity that will end in March 2020. We are recruiting a Communications Team Leader in Dar es Salaam. The USAID PROTECT Communications Team Lead will be responsible for leading communications and outreach for all USAID PROTECT activities; USAID PROTECT's communications grants; and USAID PROTECT's direct support to USAID on biodiversity communications. S/he works with USAID PROTECT Communications Specialist on a day-to-day basis and with other project staff and grantees. Email cover letter and CV to hr@tzprotect.org by 21st March 2018. Applicants must include the POSITION TITLE in the subject line of the email. Please do not attach copies of certificates. RTI International is an independent organization dedicated to conducting innovative, multidisciplinary research that improves the human condition. With a worldwide staff of more than 4,000 people. RTI offers innovative research and development and a full spectrum of multidisciplinary services. RTI International is seeking staff for the U.S Agency for International Development (USAID) Promoting Tanzania's Environment, Conservation, and Tourism (PROTECT) project that addresses factors in Tanzania that threaten biodiversity conservation and natural resource management. USAID PROTECT is a 5-year activity that will end in March 2020. We are recruiting a Natural Resources Management (NRM) Policy Specialist in Dar es Salaam. The USAID PROTECT NRM Policy Specialist will be responsible for assisting with the implementation of the project's policy research and advocacy component. His/her tasks will include support an implementation of policy advocacy and research activities under Activity 1: Stronger Policy Research and Advocacy of the USAID PROTECT Project. S/he works with USAID PROTECT Resources, Rights, and Governance Specialist, DCOP and COP.